Hair color is determined to a large extent by obtain information on the structure and mode of the quantity and type of pigment present in the formation of red pigment granules of the hair keratinized cells of the hair shaft. The pigment of follicle. In order to recognize differences in the the keratinized cells is derived from melanocytes, fine structure and mode of formation of red and the most important function of which is the syn- black pigment granules, an electron microscopic thesis and transfer of pigment granules into the investigation of pigment-forming cells of the hair differentiating hair cells. follicle of both black and red haired guinea pigs Several authors have studied with the electron was undertaken. In this paper new information is microscope the production of black pigment given on the structure and production of red piggranules (melanin) in the mclanocytes of hair ment granules. Furthermore, while certain findfollicles (1, 2, 3, 4). The formation of black pig- ings of previous workers arc confirmed, a few ment granules is a complex process: Small new observations are also presented on developvesicles, premclanosomes (3, 5, 6), containing mental forms of black pigment granules. parallel arrays of inner membranes, arc found MATERIALS AND METHODS first in the Golgi region of the melanocytes. The vcsicles grow in size and a melanin polymer Male guinea pigs, weighing 300—500 gm. with accumulates on the inner membranes. This struc- pure black or red fur were obtained from Rockland New Jersey. The hair follicles were disture is designated as the mclanosomc. As mclani- Farms, sected singly and intact from the skin and were zation proceeds, the membranes of the vesicles immersed in icc cold 1% or 2% osmium tetroxide arc masked and the final product, the melanin buffered to pH 7.4—7.6 with vcronal acetate buffer granule, appears as a structureless, uniformly (7). After fixation for two hours, the tissues were dehydrated in ethanol and embedded in epoxy dense body. resins according to the method of Luft (8). Sections Red hair pigment has received scant attention were cut with a Porter-Blum microtome, stained in the past and relatively little is known about its with lead hydroxide (9) and examined in RCA mode of formation, structure and chemical na- EMU 3F electron microscope. ture. Birbcck and Barnieot have made a few obRESULTS servations on pigment-forming cells of human One of the most characteristic properties of red hair follicles (1, 2). They noted vcsiclcs in the black pigment-producing cells of the hair follicle Golgi region possessing distinct, often concentric shells of dense material similar to those seen is the presence of a well-developed Golgi complex during initial stages of black pigment granule and numerous melanin granules in various stages formation. The mature granules seemed to be of formation. The Golgi complex of mclanoeytcs composed of loosely aggregated small particles; of the guinea pig hair follicle consists of many these appeared round, or slightly ovoid and in parallel arrays of agranular membranes and general smaller than the mature black pigment smooth surfaced vesicles. Premelanosomes, mclagranules. Fio. I. Electron micrograph of a portion of a black melanocyte showing different stages in the formation of melanin granules. PM: Premelanosome showing oriented parallel array of membranes. M: Melanosome revealing tbick membranes with the accumulation of pigment. MG: A mature melanin granule appearing nniformly dense. X: A granule which represents an intermediate stage between the melanosome and a mature melanin granule. The body of the granule is divided into several compartments by electron dense partitions. X 45,080.
mature melanin granule, the other part shows only partial melanization and appears similar to a melanosome. X 72,520.
ing the earliest recognizable stage ia the formation of red pigment. These granules are about 400 A in diameter. 1MG: Larger granules showing intermediary stages of red pigment formation. MG: Mature red pigment granules. CL: A clump of three red pigment granules are shown in a neighboring keratinizing cell. Inset: One granular and two homogeneous appearing red pigment granules. X 28,224.
formation. Structurally, red pigment granules are either granular or homogeneous appearing melanin granules of different structural charac- roundish structures whereas mature black piglimiting membrane (Fig. 1, 2). without formation of an oriented skeleton. nocytes of hair follicles (1, 2, 3). The roundish melanized granule, noted to be divided into several compartments, is a new form that has not been previously described. We think that this type represents an intermediary stage between the melanosome and the mature melanin granule. The other type structurally resembled both a melanosome and a mature granule. This type of structure suggests that melanization in certain cases may proceed at different rates in different parts of the developing granule. Hair Growth", p. 239, edited by W. Montagna and R. A. Ellis. N. Y., Academic Press, 1958. Electron microscope studies on pigment formation in human hair follicles. In "Pigment Cell Biology", p. 549, edited by M.
electron microscopy with heavy metals. J.
Biophys. Biochem. Cytol., 4: 475, 1958. 10. MOYER, F. H.: Electron microscope studies on the origin, development and genetic control of melanin granules in the mouse eye. In "The Structure of the Eye", p. 469, edited by G. Smelser. N. Y., Academic Press, 1961.
cytes and the site of melanogenesis. J. Invest. 6. DR. PAUL F. PARAKKAL (in closing): Drs. linolenic acid extract. Arch. 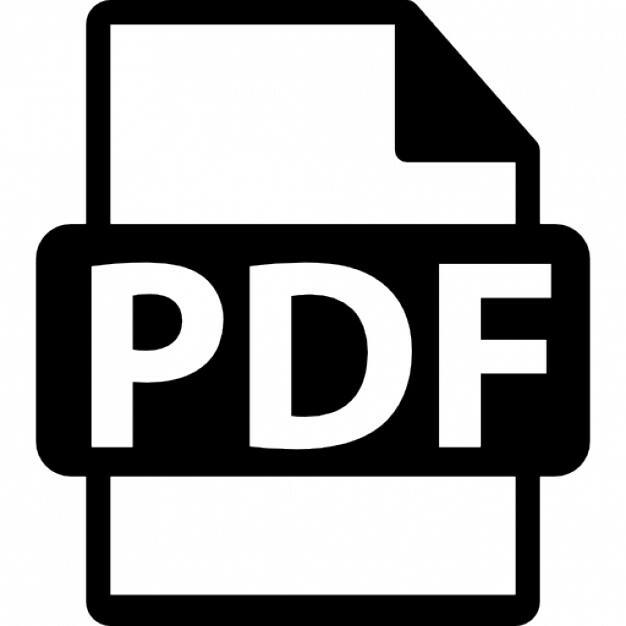 This pdf is a scanned copy UV of irradiated a printed document. skin lysosomes and a comparison with liver Path., 80: 91, 1965. and spleen lysosomes. Biochem. J., 98: lOP, 37. Nicolaides, N.: Lipids, membranes, and the 1966. Users should refer to the original published dermal cells. Nature, 216: 1031, 1967. version of1965. the material. vest. Derm., 45: 448, 28. Hall, J. H., Smith, J. G., Jr. and Burnett, S. 41. Daniels, F., Jr. and Johnson, B. E.: In prepa1967. Cell Biol., 27: 603, 1965. C.: The lysosome in contact dermatitis: A ration. histochemical study. J. Invest. Derm., 49: 42. Ito, M.: Histochemical investigations of Unna's oxygen and reduction areas by means of 590, 1967. 29. Pearse, A. C. E.: p. 882, Histochemistry Theoultraviolet irradiation, Studies on Melanin, retical and Applied, 2nd ed., Churchill, London, 1960. 30. Pearse, A. C. E.: p. 910, Histacheini.stry Thearetscal and Applied, 2nd ed., Churchill, London, 1960.
lowing ultraviolet irradiation. J. Invest. Derm.,37: 351, 1961. 32. Bitensky, L.: The demonstration of lysosomes by the controlled temperature freezing section method. Quart. J. Micr. Sci., 103: 205, 1952. 33. Diengdoh, J. V.: The demonstration of lysosomes in mouse skin. Quart. J. Micr. Sci., 105: 73, 1964. Tohoku, J. Exp. Med., 65: Supplement V, 10, 1957. 43. Bitcnsky, L.: Lysosomes in normal and pathological cells, pp. 362—375, Lysasames Eds., de Reuck, A. V. S. and Cameron, M. Churchill, London, 1953. 44. Janoff, A. and Zweifach, B. W.: Production of inflammatory changes in the microcirculation by cationic proteins extracted from lysosomes. J. Exp. Med., 120: 747, 1964. 45. Herion, J. C., Spitznagel, J. K., Walker, R. I. and Zeya, H. I.: Pyrogenicity of granulocyte lysosomes. Amer. J. Physiol., 211: 693, 1966. Report "An Electron Microscopic Study of the Structure and Formation of Red Pigment Granules in Hair Follicles"